If you don’t tinker around with your smartphone or tablet much, you may not exactly know what the bootloader does. This is the program that fires up as you turn on your device and is used to load the operating system. The majority of smartphone manufacturers lock the bootloader by default allowing only the loading of their own firmware or UI and preventing the installation of custom ROMs, such as CyanogenMod or Paranoid Android. As such, unlocking the bootloader is one of the key components to being able to install these custom ROMs on your device and we’ll show you how you can accomplish this across a few of the more popular smartphone manufacturers. Each device has unique hardware characteristics including a motherboard that requires its own individual bootloader. As such, there really isn’t any universal method for unlocking bootloaders and requires a different procedure or toolkit across brands. Important: All of the listed methods require you to first have root access to your device before being able to unlock the bootloader. There are a few exceptions, such as for HTC and Sony devices, and we’ve highlighted them appropriately. While there is no universal method for Samsung devices and their recent stance on locking the bootloader of their devices on certain carriers makes it hard for developers to provide an answer to this issue. Often, bounties are created by the community in hopes that developers will be able to find a work around, but they’re often complex and require advanced knowledge. The Samsung Galaxy S3 was the last real Samsung device to offer a user unlocked bootloader, except on the Verizon version. If you’re still kicking that Verizon Galaxy S3 around, you can use the EZ Unlock tool to get around it. Note: This app works only for devices made before 2012! EZ Unlock – Download, connect your Verizon Galaxy S3 to your PC, and click Unlock. Here is a universal app for the Nexus line of devices that will allow you to unlock your bootloader with a click. As well, you can also relock the bootloader from this app if you so choose to. As with Samsung, there is no universal unlock for LG devices to unlock the bootloader. 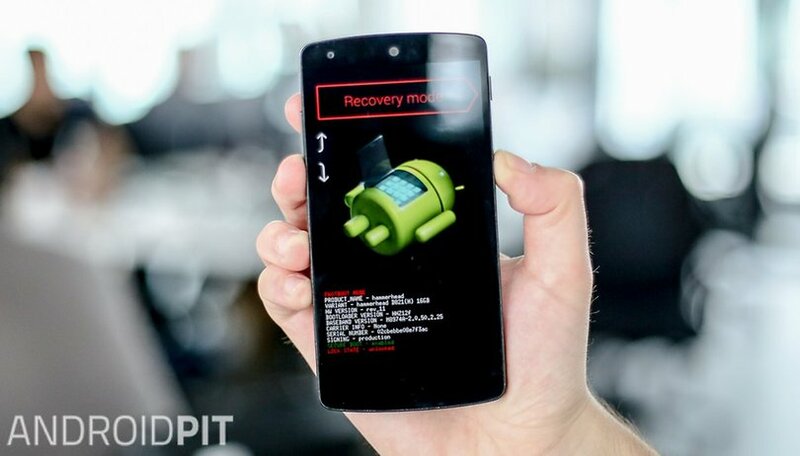 However, if you have an Optimus G, Optimis G Pro, or LG G2, FreeGee is an application from the Play Store that will allow you to unlock the bootloader and install custom recovery softare, such as ClockwordMod or TWRP. If you have an Optimus L5 or L5 Dual, the following applications will work on your device. For HTC devices, you can use the HTC Bootloader Unlock software. This software uses the official method to unlock the HTC bootloader by downloading the unlock code suitable for your device. You can also lock the bootloader again using this software. HTC also has the advantage of having a toolkit that will work on unrooted devices. By using the Kingo Android Root program. Kingo also provides some unique software for Sony to unlock the bootloader in the form of the Sony Bootloader Unlock. As with HTC, you can also just use the Kingo Android Root Program and not need to have root permissions on your device. For Huawei, there is an app available on the Google Play Store called the Huawei Bootloader Unlocker that will do all the work for you and works across 7 different Huawei devices. Motorola loves developers and has a dedicated Bootloader Unlock program. Depending on your location and device, you can easily (and officially) unlock your Moto device by heading over to the following Motorola page and following the links for your device. With the bootloader unlocked, you can install a custom recovery on your device and even get going on custom ROMs. Did you find the bootloader unlocker for your device? Let us know how the process went for you in the comments below. work it on lark cirrus 4s ? If you don't have the basic knowledge needed to root your android device ID recommend downloading king root apk. Install that and one click to root your device. After you have rebooted you should be successfully rooted. However you can't install SuperSU. Download supersume. Run the app and it will delete all kingroot files and install SuperSU. You will keep root and get rid of that horrible kingroot apps. Am I the only one here still rockin' a good ol' LG G2? Oh yeah, it's only $270 on Amazon.ca. Aaaaand it's $130 on Amazon.com. I live in Canada. Now you know where I live. Is it work for ZenFone 2? What kind of rooting tool do you use guys?? my friend says search4roots. but im still reading reviews on what kind of tool to use on my phone. FREE no credits READ Bootloader all latest huawei Qualcomm and hisilicon!! FREE no credits unlock all latest Huawei Qualcomm and HiSilicon!!! unlock modems, but must work too! FREE UNLOCKS works on hacked soft only! I have a Verizon developer edition note 4 on 5.0.1 and I accidentally locked the bootloader. Is there a tool to reunlock it? Ok I used this stupid thing literally 4 days ago&&it hard bricked my phone...FINALLY after like 2 hours of searching I found out u can go to google and type in Verizon samsung galaxy s3 i535 4.4.2 kitkat debrick img(of course use ur own phone type lol)and just find one that explains how to do it and ull be amazed!! Never Try EZ-Unlock with SCH-i535 4.4.2 it hard bricks it. Have to use JTAG to unbrick.There should be more updated info on this post. Wish I had seen your comment sooner. EZ-Unlock is basically Satan for that setup. Can someone tell me where is 512 MB partition on the ace s 5830i? After the sd card partition I have still not enough place on the phone when I want to install new apps. After the partition I have only 1.3 GB instead almost 2 GB..where are the 500 GB hidden? Although I have rooted I feel sometimes more like "Superloser" instead superuser! Is it maybe the developers indistinkt guidance? So I don't want to do anything dumb, This article is pretty recent and I notice the galaxy s3 verizon is listed with ez unlocker. It is my understanding that 4.3 ota eliminated this method for the time being. Does anyone have any feedback on this? And if anyone believes as I do that developers may not even be able to find a solution to this matter, then what phone is good on the verizon network that is unlockable for installing a cusom recovery? I was able to achieve this easily on the 4.1.2 build of the galaxy s3 and installed cm, but then my sim card reader failed and as part of diagnosing the problem, I reverted to ota but it was the notorious 4.3 ota, and this really screwed things up. How did you downgrade to 4.1.2 I hard bricked mine trying to. Will any of these work with TCT Alcatel? Sony as well provides an easy and official method of bootloader unlocking (which is basically what that kingo app uses as a method). It is available on sony mobile website. but the problem is that you will lose the TA partition with lots of DRM Data, therefore some sony apps wont work anymore... and they will see that you have unlocked it. Sure, but that's the way it is. Regarding sony apps, I must admit I miss those sometimes, but there are a number of them available for any device (not officially, of course). Regardless, now that I went custom all the way, I won't be going back.